Originally published by the North Star Network (USA) as a discussion article on October 1, 1984. For more by or about Peter Camejo, click HERE. Peter Camejo Archive, Marxists Internet Archive -- The development of a vanguard for the Third American Revolution must be rooted in our culture, language, and democratic and revolutionary traditions. This question in our opinion is not simply a tactical matter, nor is it a question of finding popular expressions of Marxist concepts. It is rooted in a correct conception of the Third American Revolution. Revolutions are defensive. Fundamental social change takes place as a defense against attempts to take back established rights, gains, or conditions. Revolutions do not occur out of ideological commitment to a better or higher social order. Ideas, on a mass scale, can transcend the ideological constraints of the existing social order only in part and for short periods of time, during intense, mass, independent (from the ruling class) activity. To believe otherwise is to reject a materialist conception of the relationship between ideas and their socioeconomic and political environment. Who or what killed the US SWP? Barry Sheppard (right, holding banner pole with Sylvia Weinstein) at an anti-war march in New York in 1966. During the years 1978-1983, the Socialist Workers Party (SWP) of the United States has been making sharp shifts in its policies, political positions, methods of work and internal norms. These shifts reflect an effort by the leadership of the SWP to develop an orientation in the post anti-Vietnam war movement period. Some important steps forward have been taken by the SWP. Two important shifts, which reflect fundamentally positive steps, have been the decision to colonize industry and to recognize the revolutionary proletarian character of the Cuban Communist Party, the FSLN in Nicaragua, the FMLN in El Salvador and the New Jewel Movement in Grenada. Along with these positive steps, however, there has been a hardening of increasingly sectarian positions which threaten to undermine the positive aspects of the two points mentioned above. This document is a review of the increasingly sectarian positions developed by the SWP in the last five years. Why this is happening is beyond the scope of this document, although it is clearly related to the years of isolation from the broader workers' movement. The development of hardened sectarian political views has occurred quite frequently in groups which have developed within the world Trotskyist current. While the causes of the sectarianism of the SWP are undoubtedly related to these broader questions, this document takes up each political question at its face value, independent of broader judgments. October 1, 2010 -- The Socialist Workers Party (SWP) of the United States was for a number of years the largest and strongest section of the Fourth International — both of which were formally established in 1938, both representing the revolutionary socialist perspectives associated with Leon Trotsky. Rooted in opposition to Stalinism in the early Communist movement, the U.S. Trotskyists worked closely with Trotsky in building the Fourth International, the global network of small revolutionary groups adhering to the original “Bolshevik-Leninist” perspectives. They also played a heroic role in U.S. class struggles of the 1930s, and their reputation among many was as unyielding partisans of workers’ democracy and Trotsky’s revolutionary Marxist orientation. Yet in the non-revolutionary aridity of 1950s America, their ranks dwindled down to handfuls of stalwarts, perhaps 400 aging members, in a handful of cities. July 8, 2010 -- North Star – A Memoir by Peter Camejo, who was an important figure in the radicalisation of “the Sixties” and beyond, up to his untimely death in 2008, should be read by veterans of the socialist movement and wider social causes. It also should be read by new activists thirsty for understanding of previous struggles in order to better equip themselves for present and future battles. Also, the book is a good read. The first chapter is set in 1979, out of chronological order from the rest of the book. It explains how the CIA attempted to get Peter arrested in Colombia, on a leg of a speaking tour in South America. If he had been imprisoned there it is possible that he would have been “disappeared”. Without giving away the story, Peter escaped this fate through an unlikely intervention, quite a tale in itself. Below are number left tributes to Peter Camejo, who died on September 13: from Green Left Weekly (Australia); Ralph Nader, US presidential candidate; veteran US socialist Barry Sheppard; Socialist Worker (USA) and Louis Proyect, moderator of the Marxism List (USA). 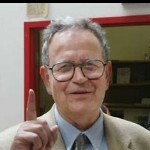 As a tribute, Links International Journal of Socialist Renewal has also republished two of Peter's most influential and enduring lectures (at http://links.org.au/node/625), talks that continue to educate young revolutionary socialists to this day. 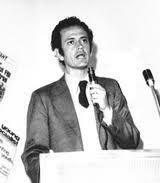 Peter Camejo is heard here speaking in 1976 on the NBC network when he stood for the US Socialist Workers Party as its presidential candidate. A brilliant piece of socialist advocacy and showcases Camejo's skill for making socialist ideas accessible to a wide audience.